Another rider who had only briefly flitted across my radar was Colin Sturgees. The super-talented youngster who used to beat Chris Boardman in the individual pursuit. One went on to Olympic gold and British cycling ubiquity, Sturgees path took another, more tortuous and winding road; illustrating the fine line between success and failure – especially in such an ephemeral sport as cycling. Amidst some of the characters of British Cycling, there are quite a few cyclists I had never heard of. And I was left feeling – why ever not? 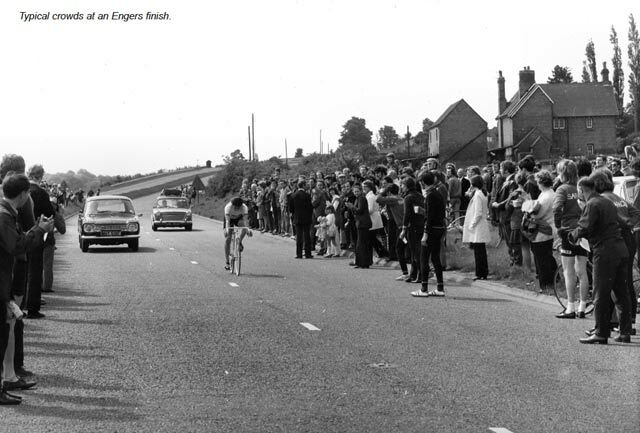 For example, Ian Steel, the Scottish racing cyclist who won the prestigious Peace Race – stage race. The politics of his time meant he never really got the recognition he deserved, but it was an impressive win and a trailblazer for future British stage race winners. It certainly would make a good pub question – Who was the first British cyclists to win a major Stage race? Tony Doyle. Including a look at the coup of the old guard and his near attempt to become British Cycling president was quite revealing. The author Robert Dineen, is not steeped in cycling himself. A late-comer to the sport after researching a book on Reg Harris. He admits as much and, interspersed within the potted history of British Cycling, is his own fumbling forays in to the world of becoming a fully fledged Mamil with aspirations to ride the Etape du Tour. I’m not sure how seamlessly this fits in, but it is kept short and acts as a complement and counterpoint to some of the changes that British Cycling has seen in the past few decades. Overall, I enjoyed reading the book. I learned quite a lot about the history of British Cycling and some of the lesser known characters. For those looking for something beyond the all-pervading marginal gains the Team Sky perspective on professional cycling, this really is a warts and all look at the past of British Cycling. Cycling fans should enjoy.